As the star pupil of William Perkins at Christ’s College Cambridge, William Ames (1576–1633), followed his mentor’s preaching pattern of explaining, teaching, and applying the text. It may seem strange that in his systematic-theological Marrow of Theology, Ames devoteed a whole chapter to preaching (ch. 35). Yet, since he understood theology as the doctrine of living to God, this comes as no surprise. In line with Perkins, preaching was the means for propagating such a life. 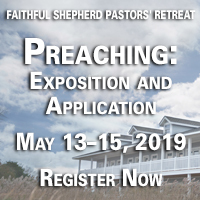 With preaching being of such importance, the minister must proclaim the Word “for the edification of the hearers.” Connected to this goal, he must practice what he preaches and be mighty in the Scriptures beyond the ordinary believer. As such, he “must not put his trust in notes and commentaries.” In other words, do not turn too quickly to the tools available for preaching beyond the Bible. To edify hearers the preacher must first explain the text and then apply it to hearts as required. This involves first setting forth doctrine (theological principles) and proofs (from other Scriptural testimony) and then illustrating what has been proven. Uses or applications “sharpen” the truth and make it relevant as it pierces “the minds of those present with the stirring up of godly affections.” Preaching, then, must not “be dead, but alive and effective,” so that even an unbeliever may be seized by the preaching. Application consoles the oppressed and exhorts or admonishes the failing. Consolation either takes away or lessens grief and fear to encourage the hearer that he or she shares in the benefits that comfort the consciences of believers. In the “pious and troubled mind,” contrary thoughts are thus “dispelled and refuted.” Exhortation “excites some inward virtue or furthers the exercise of it,” while admonition seeks to “correct some viciousness” with remedies found from the most effective passages. “They sin, therefore,” said Ames, “who stick to the naked finding and explanation of the truth” by neglecting application. Such preachers “edify the conscience little or not at all.” They also sin who “care little about what they say” apart from the fact that they have thought and spoken about many things as they squeeze “many things out of the text” making it say what they want. Preaching must also not involve a “show of human wisdom” but “the demonstration of the Spirit” for the purpose of “building up” faith in God. Otherwise, “it is as useless as hay and stubble.” Simply put, preaching without application is not preaching. The church today needs to pay close attention to this. Human testimonies should be at a minimum and used only “on the rare occasions” when it seems most beneficial and “much less should words or sentences in Latin, Greek, or Hebrew be used which the people do not understand.” In general, anything that smacks of human wisdom must be avoided. Simply put, the pulpit is no place to show people how clever you are. So, preachers, listen well to what Ames has to say: Preach the Word in “naked simplicity” not “naked finding,” teach it, and apply it, naturally not mechanically and all in the power of the Spirit for the good of your hearers. Lewis Bayly (1575-1631) was born around 1575 at Carmarthen, Wales, where Thomas Bayly, who probably was his father, was serving as curate at that time. Bayly secured the living of Shipston-on-Stour, in Worcestershire, in 1597, and three years later was presented to the crown living of Evesham in the same county, where he served as headmaster of the grammar school. Bayly soon became known for his preaching and so was appointed a chaplain to Prince Henry within a few years of the accession of King James. In 1606, he was presented to the rectory of Llanedi, Carmarthenshire, but remained largely at Evesham. Though he was a conformed Calvinist who respected the authority of the church, Bayly had emphases in common with the Puritans. Shortly after his wife passed away in 1608, in addition to his royal duties, he began to work on turning some of his sermons into what would become a Protestant classic, The Practice of Piety (see below). In 1611, Bayly became treasurer of St. Paul’s Cathedral. In that same year, he earned a Bachelor of Divinity degree from Oxford and a doctorate in divinity in 1613. About that time, he succeeded Henry Mason at St. Matthew’s Friday Street in London. He was made prebendary of Lichfield in 1614 and, two years later, chaplain to the king. In December 1616, he was consecrated as bishop of Bangor, a position he held until his death. Bayly’s Puritan convictions occasioned frequent conflict both at court and in his remote diocese of North Wales. In 1621, he was imprisoned for several months for his opposition to the Book of Sports. Fresh charges, endorsed by Archbishop William Laud, were brought against him in 1626 but resulted in nothing more than continued harassment. In 1630, Bayly was accused of ordaining clergy who had not fully accepted the doctrine and discipline of the Church of England. He successfully defended himself. He died in October 1631, survived by his wife and four sons. The Practice of Piety: Directing a Christian Walk, that He May Please God. In the seventeenth and eighteenth centuries, this classic Protestant work was one of the most universally read English devotional books after John Bunyan’s Pilgrim’s Progress. Bunyan himself traced the beginning of his spiritual convictions to the reading of Bayly’s handbook. One Puritan pastor even complained that his flock regarded the devotional as equally authoritative as the Bible. First published in the early 1600s (probably 1611), The Practice of Piety was reprinted in 1612 in an amplified form. By 1643 it had reached its thirty-fourth English edition; by 1714, its fifty-first English edition; by 1792, its seventy-first English edition. In 1842, Grace Webster produced an edition with biographical notes. Throughout these centuries, The Practice of Piety has been translated in most European languages, including Dutch (1620), French (1625), Welsh (1629), German (1629), Polish (1647), and Romansch (1668). New England Puritans even translated it into the language used by Native Americans in Massachusetts (1665). The Practice of Piety is filled with scriptural and practical guidelines on the pursuit of holy living. The author begins his work with “a plain description of God [in] his essence, person, and attributes.” This doctrine is the basis for piety; every grace that sinners need springs from the gracious character of God. Bayly arranges his work around the two destinies of mankind. We are either traveling the broad way to destruction or by divine grace are on the narrow way leading to life eternal. The unrepentant sinner has misery as his constant companion in infancy, in youth, and especially in adulthood and the later years of life. From the tragic scene of hell as a bottomless lake reserved for those who die unregenerate, Bayly turns to the unspeakable glories of heaven. Stressing the necessity of true faith and holy living, he concludes: “Get forthwith the oil of piety in the lamp of thy conversation, that thou mayest be in continual readiness to meet the bridegroom.” The rest of the book explains how to attain and maintain readiness for Christ’s second advent. Bayly shows how to overcome seven obstacles: wrong teaching, the bad example of prominent persons, God’s patience in delaying a sinner’s punishment, presuming upon God’s mercy, ungodly company, the fear of piety (as if it made its possessors depressed), and the illusion of a long life. Bayly then stresses how piety is to be cultivated, offering wise advice on the spiritual disciplines of prayer, Bible-reading, meditation, psalm-singing, Sabbath-keeping, stewardship, the commemoration of the Lord’s Supper, and walking daily with God. He shows how to guide our thoughts, words, and actions in times of health as well as times of sickness and affliction. He provides directives to protect us from despair and the fear of death. In short, this is a book about how to live godly and die well. Bayly’s book, which has been credited as a fundamental influence in the rise of pietism, is not without shortcomings. It lacks a strong evangelical emphasis, and consequently says little on how one becomes a Christian. At places, it tends to foster the type of introspective meditation that leads to the very melancholy he sought to avoid. The word "Anglicanism" is a slippery one. In the nineteenth century, the “high church” Oxford Movement tried to invent this idea that the Church of England was a nice middle way (a via media) between Rome and Geneva. Not Catholicism, not Calvinism, but Anglicanism. A nice, moderate, compromise sort of church in continuity with the Catholic Church but reformed (small "r") of a few Medieval abuses and Roman silliness. This is a nineteenth century fabrication of course, reliant on some strange historical reconstructions and bizarre readings of the Thirty-Nine Articles of Religion, invented by people like John Henry Newman (1801-1890)—who, you may recall, clearly loved Anglicanism so much he became a Roman Catholic and was made a Cardinal! I heard a Cambridge history professor recently (lamenting the recent death of the great Patrick Collinson) say that we really need to move beyond the strange idea that Puritans were not part of the Church of England, but some kind of external, foreign-inspired invaders. They were not; many of the great names we celebrate and “meet” on this blog were in fact ordained Anglican ministers. (I’m sorry if that upsets, shocks, or offends anyone...!) I am of the view that the Church of England is, historically-speaking, not some special “third way” between Protestants and Catholics, but another branch of the international Protestant Reformed church. That’s how most people saw it in the 16th and 17th centuries (and beyond). Historians like Patrick Collinson, Nicholas Tyacke, and Anthony Milton have established this “Calvinist Consensus” view carefully and solidly. The C of E is Reformed—not Catholic. It is Reformed—not Lutheran. It is Reformed—not Arminian. I think that’s pretty clear from reading the Thirty-Nine Articles in their historical context, and from reading the (perhaps surprisingly) Reformed writings of early modern Church of England theologians and bishops. Ah yes, we have bishops. That’s a difference of course, from most Continental Reformed churches. But other Reformed communities had bishops too, so we’re not unique. And others who didn’t have them, but some kind of Presbyterianism instead, sometimes wished they did. (And if I may be permitted a little contemporary observation—some Presbyterians and Baptists who claim they don’t have bishops, really do, don’t they? In all but name). So if you hear or read someone say ”Anglicanism” was invented in the nineteenth century by the Oxford Movement, or by the bitter bishops who swept back into power in 1660 with Charles II, blow a raspberry at them. It goes back further than that! The word "Anglican" was in use from at least the end of the 16th century precisely to describe the English manifestation of the international Reformed movement. Our beloved Puritans were a part of that wider current. There is even a reference in a 1616 book called Tessaradelphus by Thomas Harrab to “Anglianism”—which antedates the usual references to “Anglicanism” by a few centuries, well before Cardinal Newman was even a twinkle in his father’s eye. Harrab says, “I call the religion of England Anglianisme, because it among the rest hath no one especial author, but is set forth by the Prince and Parliament.” In other words, it is the Reformed Church of the English nation, not just of one man (Calvin, Luther, or Cranmer). We are at the second of our reading the Puritan Paperback, Sermons of the Great Ejection. This title is a collection of nine sermons recalls one of the great turning points in English Christianity—when two thousand ministers were deposed from the established Church in what was called “The Great Ejection.” The were unable for the sake of their conscience to conform to a series of Restoration Parliament laws of the Clarendon Code. The second sermon in the collection is one preached by Thomas Brooks. In sharp contrast to last time’s Edmund Calmy, little is known of Brooks’ life except what he mentions in his writings. Brooks was ordained in 1640 serving for some years as a chaplain in the English Navy. He was made the rector of St. Margaret’s New Fish Street Hill near old London Bridge in 1652, serving there until the Ejection. He continued to preach in London, for some reason not suffering persecution like his colleagues. He remained in London during the Great Plague to minister to his parish even as other conforming ministers fled the City. Sadly, his old parish church was the first destroyed in the Great Fire the following year. It is thought Wren deliberately omitted St. Margaret’s from his rebuild of the City churches so that Brook’s pastoral base would be purged. Of all the Anglican Puritan divines republished by the Victorians in the 1840-60’s, Brooks was the most popular. He communicates profound truths in a simple manner and can be easily read by young and old. If limited to the purchase of a few Anglican Puritan works, be sure to buy and read Brooks. Nothing is known of the external circumstances of his last sermon at St. Margaret’s except that Brooks and his parish knew that he would not be allowed to preach to them again. The sermon is organized in two parts. The first part answers the question of the day: Why would men be in such opposition to the plain, consciencious preaching of the gospel? Brooks sets out the biblical position concerning man’s rebellion and his hatred of God. The second and third questions ask what are the personal and national consequences when the proclamation of the gospel is removed? Brooks does not pull any punches here and is worth a careful meditative study by today’s reader in light current events. Be encouraged by Brooks’ conclusion to this section: “When it is the nearest day, then it is the darkest. There may be an hour of darkness that may be upon the gospel, as to its liberty, purity, and glory; and yet there may be a sunshining day ready to tread on the heels of it” (p. 43). Labour mightily for a healing spirit. Away with all discriminating names whatever that may hinder the applying of balm to heal your wounds. Labour for a healing spirit. Discord and division become no Christian. For wolves to worry the lambs is no wonder, but for one lamb to worry another, this is unnatural and monstrous. God has made His wrath to smoke against us for the divisions and heart-burnings that have been amongst us. Labour for oneness in love and affection with every one that is one with Christ. Let their forms be what they will, that which wins most upon Christ’s heart should win most upon ours, and that is His own grace and holiness. The question should be, What of the Father, what of the Son, what of the Spirit shines in this or that person? And accordingly let your love and affections run out (p. 46). Clearly the caricature of Anglican Puritans as divisive is just that, a caricature. Rather they longed for the day when gathered into our heavenly Father’s bosom there will no longer be need of ordinances, of preaching or of prayer. They longed for that everlasting rest in sweet union with their Savior that shaped their days and their actions, as we read here in Thomas Brooks. We began last time looking at James Durham’s essay, "Concerning Ministerial Qualifications." The post ended with the thought that “it is not great talents God blesses so much as great likeness to Jesus.” Nevertheless gifts are necessary, and Durham in his essay outlined three things that are prerequisites “for the complete qualifying of a Minster”, namely, “Gifts, Learning and Grace”. He pithily noted that learning enables a man to manage his gifts and grace sanctifies both gifts and learning. Durham stated that the gifts necessary for the ministry are “a fitness given by God, whereby one is capacitated for such a calling.” This means that man cannot make a minster. Yes the extent of gifts can be “improved” and “increased” but these gifts cannot be attained by “pains, skill or art” in themselves. The source of ministerial gifts is God, and in particular the risen and ascended Christ. Durham cited as proof Ephesians 4:12, 1 Corinthians 12 & 14, 1 Timothy 4:14, and 2 Timothy 1:6. Now Durham was far from depreciating what he had already designated a key ministerial gift, the ability to communicate well. But he was keen to emphasise that communicating the gospel required a spiritual power. The gospel was to be communicated with “plain simplicity” rather than trusting in “human eloquence.” It was the simple truth of the word of God that would leave a mark on hearers if that truth was preached in “the evidence and demonstration of the Spirit and Power” (1 Cor. 2:4). This gift of “simple” preaching in reliance on God alone would make hearers say “doubtless God is here” (1 Cor. 14:25). It was this spiritual gift, above all others, that qualified the minister as one gifted in gospel teaching. As an aside, it is interesting to note that Durham cites John Calvin, Peter Martyr Vermigli, and Robert Boyd in the course of his discussion that there is a “power” in preaching beyond rhetoric. Durham didn’t just cite his own particular brand of Scottish Presbyterians but looked to the wider Reformed tradition. If we are spiritual disciples of the Puritans (and I hope we are!) then we should, like them, read widely in the Reformed tradition. The final element Durham mentions relating to the gift of teaching is that ability to preach with “authority.” He noted that the “Chief Pastor” of the church preached with great power and authority (Matt. 7:29). And so as ambassadors of the risen Christ, gospel ministers had to be able also to preach in such a way that the truth proclaimed was evidently the truth of God. This was a gift “given of God” where the Spirit accompanied preaching and brought it home to hearts and consciences. Who is sufficient for these things? Thanks be to God that “our sufficiency is from God” (2 Cor. 3:5). Pray for your ministers that trusting in God’s sufficiency they will continue to exhibit the “aptness to teach” Durham speaks of. Do you know God? How easy it is for us to profess that we do merely with our lips. The visible church of Christ is full of people who profess to know God, but do we really? To know God is to have knowledge of him, to actually know something about him. But to know God is also to have a deep, intimate, relationship with him through his Son in the power of the Holy Spirit. So let me ask you again, do you know God? One of the beautiful truths of the Christian life is we who “have come to know God, or rather to be known by God” (Gal. 4:9) also get to know him more and more over the course of our lives. You are called to this. Jesus calls you to “love the Lord your God with all your heart and with all your soul and with all your mind” (Matt. 22:37). The apostles prayed for this in the lives of their hearers, that they would be “increasing in the knowledge of God” (Col. 1:10) and that they would “grow in the grace and knowledge of our Lord and Savior Jesus Christ” (2 Peter 3:18). So how can you and I grow in the knowledge of God? When I ask this question, I do not intend to answer it with techniques and tips. Those should be fairly obvious: reading, prayer, meditation, and conversation about God. Instead, the Westminster Larger Catechism focuses our minds and hearts upon the object of our knowledge—God: “What do the Scriptures make known of God? The Scriptures make known what God is, the persons in the Godhead, his decrees, and the execution of his decrees” (Q&A 6). I need to grow deeper in my knowledge of God’s being. He is a Spirit, he is eternal, he is infinite, he is immutable, and the list goes on of all the amazing attributes of our God that we need to know about him. Knowing whom he is in by knowing these attributes benefits us. These attributes of God increase our knowledge of God. But we must not stop there. Knowledge of God needs to lead us to know God. And to know God’s being beneficially is to know what he is for me, for us. We come to have this knowledge by meditating upon such amazing texts of Scripture as Exodus 3 and the burning bush, Exodus 33–34 and Moses’ vision of the Lord, and Psalm 145 with all of God’s beauty portrayed in his attributes for us. Let me encourage you to do what the Puritans were known for doing. Pray God’s promises back to him and see how your prayer life, your confidence, and your wonder at God grow and grow. I need to grow deeper in my knowledge of God’s persons. Our God is not just a singular being off somewhere in space. We have a personal God whom we come to know in the Word is distinguished in three persons. Have you stopped to wonder at what it means that there is a Father, a Son, and a Holy Spirit? The fact that Scripture reveals there is a Father and a Son means that they have eternally been a Father and eternally been a Son. The Father has always loved his Son. The Father has always related in the most intimate of ways with the Son. God is love. The fact that there is a Son means he has eternally been so. Unlike us who came into being at a certain point, the Son eternally was begotten. He has eternally loved his Father. God’s relationship is eternal. The fact that there is a Holy Spirit means that he has eternally proceeded from the Father and the Son, with whom he has eternally dwelt in the closest of love, fellowship, and unity. Because God the Father, God the Son, and God the Holy Spirit are persons, we can have a personal relationship this “one God in Trinity and Trinity in Unity” (Athanasian Creed). And this allows us to have personal communion with the persons of the Godhead, as John Owen so masterfully described in his treatise, Of Communion with God. I need to grow deeper in my knowledge of God’s decrees. He planned from eternity to create all things. While it is important to learn about when God created, how long it took him to create, why he created, and in what way he created, we do not want to miss the most important point of all: God decided to create in the first place! When you think of the decree to create you should be filled with awe. The eternal God decreed to share his eternal life with you! He also planned to save sinners for himself. Again, it is important to think about the order of the decrees—where in relation to his decree to create did he decree to save sinners—but do not miss the profit of meditating on the wonder that out of a fallen race God decided to salvage it! As you meditate upon Ephesians 1 do not forget to be filled with praise that God decreed your election, that he knew you before time began, and that he placed his love on you before you even knew it. I need to grow deeper in my knowledge of God’s execution. In the narrative of creation (Gen. 1 cf. Ps. 104) we read of a master builder, whose wisdom and skill are seen in every detail. We see the creativity and ingenuity of God in every genus and species of plant, animal, fish, and bird. We see his power in calling everything to be out of nothing and into nothing. But it is when we meditate upon the execution of our redemption in the person and work of our Lord Jesus Christ that we particularly grow in our intimate, personal, and relational knowledge of God. God eternally decreed the execution of his Son that I might be a son (Acts 2:22–23). God set Christ forth, put him on display to display God’s wisdom, righteousness, and love for a lost sinner like me (Rom. 3:25). So do you know God? Yes; now continue to grow. Grow from infancy to childhood and into adulthood. Grow from drinking merely milk to eating the meat of the Word. Come to know what your God is like and what your God does. Come to know how your God has eternally related within the persons of the Trinity and the who, how, when, where, and why of his plans and execution: that we might “attain to the unity of the faith and of the knowledge of the Son of God, to mature manhood, to the measure of the stature of the fullness of Christ” (Eph. 4:13). John Flavel, Triumphing Over Sinful Fear (Grand Rapids: Reformation Heritage Books, 2011). 124pp. This is easily one of the most important Puritan books that I have read. It is deeply convicting, full of Christ, and loaded with sound pastoral wisdom on a vital, yet neglected topic. Flavel distinguishes between “the fear of the Lord” and sinful fear that results from unbelief. In essence, the fear of the Lord is the single and great remedy to all forms of sinful fear. In making such distinctions, he guides us through the much-neglected topic of how to walk in the fear of the Lord, in a way that is precise, pastorally sensitive, and that can help suffering Christians. Flavel’s book is precise. Flavel began this work by distinguishing both the fear of the Lord and sinful fear from “natural” fear. While books on fear are a rare find at best today, and distinguishing fear into three or more kinds is even less common, such distinctions prevailed in other Puritans (Owen and Scudder, just to name two) and works on casuistry or Christian ethics. Flavel’s work represents how scholastic distinctions and precision enabled the Puritans to write such gripping and profound practical theology. Lack of precise distinctions in our theology often results in lack of precision or carelessness in expressing our love to Christ. Flavel’s book is pastorally sensitive. In explaining the category of natural fear, Flavel notes that some people are more fearful by disposition than others are. There are also forms of “natural” fear that are not sinful. Even Christ was subject to “natural” fear as He contemplated the cross (8). “Natural” fear of punishment is also necessary in order to uphold civil order (21). This is a valuable point because it prevents Christians from confusing the humbly submissive fear of the Lord to a forced Stoicism that borders denying our humanity. After clearing away such confusion and establishing the parameters of the question, Flavel set forth the causes of sinful fear (chapter 4), its effects (chapter 5), its remedies (chapter 6), followed by answers to some objections (chapter 7). Flavel’s book helps suffering Christians. At root, the author argued that ignorance of the provisions of the covenant of grace was the primary cause of sinful fear (31). The corollary to this is unbelief in God’s promises (35). As a result, “carnal fear is the very root of apostasy” (56). From this point on, Flavel turned his primary attention to sinful fear that results from persecution. Even good people may be overwhelmed and fall in such circumstances (68). He sought to counter this temptation through a series of useful meditations such as the following: “To trust in God in part and the creature in part is to put one foot upon the rock and the other on quicksand” (83). “No death is more honorable to God or comfortable to you as a violent death for Christ” (89). “An assured Christian is never a coward in suffering” (94). “Although a natural death has less horror, a violent death for Christ has more honor” (96). “A natural death in Christ is safe for us, but a violent death for Christ is beneficial for others” (97). “It is a great mistake to think that the strength of a natural constitution can carry anyone through suffering for Christ” (114). “In extraordinary trials we can expect extraordinary assistance” (117). Ministers often attest to the fact that there is sometimes a peculiar blessing of the Holy Spirit upon their preaching. When this happens, both the content and the form of delivery are blessed beyond the natural gifts of the pastor. I cannot help but think that this work represented one of those moments in Flavel’s ministry. Sometimes the profit that we receive from a book depends as much upon our own present spiritual condition as much as upon the inherent value of the material. This volume presents a clarion call to our present generation in which persecution is subtle and not recognized easily. It was edited and prepared for the average person in the pew and it fulfills its purpose abundantly. In relation to this week's "Meet a Purtian," you can download a 5-part mid-week teaching series I did through William Bates' treatise, The Divinity of the Christian Religion. You can download the audio and .pdf outlines here. William Bates was one of the most popular and esteemed preachers among the Nonconformists. A master of the Puritan "plain style" of preaching, his stress on piety earned him the name “silver-tongued.” He graduated from Queen’s College with a B.A. in 1645 and a M.A. in 1648. The following year he became vicar of Tottenham, Middlesex, and a few years later succeeded William Strong as vicar of St. Dunstan-in-the West. Like other Puritans, Bates often lectured at the famous morning exercises at Cripplegate Church. According to Richard Baxter, Bates played a major role in negotiating for the restoration of Charles II. As a reward, he was appointed royal chaplain in 1660. That same year he was appointed as a commissioner for the approbation of ministers by the Rump Parliament and was given a doctorate in divinity from Cambridge University by royal mandate. The following year he represented the Presbyterians as a commissioner at the Savoy Conference, of which one purpose was to review public liturgy. In 1662, Bates was one of 2,000 ministers ejected by the Act of Uniformity. Yet he did not take offense. In his farewell sermon to the St. Dunstan’s church, he made no mention of the coming ejections, other than to say rather mildly in his conclusion that his Nonconformity was motivated only by his fear of offending God. He then added, “If it be my unhappiness to be in an error, surely men will have no reason to be angry with me in this world, and I hope God will pardon me in the next” (Oxford Dictionary of National Biography, 4:327). Bates labored for the next ten years in a variety of ways, often with men like Thomas Manton, Edmund Calamy, Richard Baxter, for the inclusion of Nonconformists within the Anglican church and for toleration of other churches. On two occasions, he addressed William III and Mary on behalf of his fellow Nonconformists. After his ejection, Bates often preached in the vicinity of St. Dunstan’s, most commonly at the house of the countess of Exeter and in a room over Temple Bar Gate, beside his old church. From 1669 onward he apparently served as one of the lecturers at a dissenting congregation at Hackney. In 1672, he was licensed as a Presbyterian teacher and was appointed to lecture at Pinner’s Hall (later called the Ancient Merchants lecture). When Daniel Williams was expelled from this lectureship in 1694, Bates surrendered his lectureship as well and founded the Salters Hall lecture, where he drew large crowds. Bates remained a leading Puritan until the end of his life in 1699, often being invited to preach at the funerals of close Puritan friends, including Richard Baxter, Thomas Manton, Thomas Jacomb, and David Clarkson. The Complete Works of William Bates. Bates’s writings were first collected in a 1700 and in 1815 they were printed in four volumes. 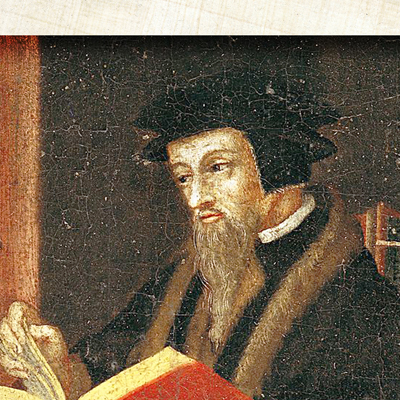 All of Bates’s writings convey good scholarship, wide reading, and careful writing. John Howe called Bates a “devourer of books,” and one who yearned to study about God and set forth His love and mercy: “Into what transports of admiration and love of God, have I seen him break forth,” Howe said (Works of Bates, 1:xviii). Bates' works are succinctly written and packed with edifying material. If you are looking for a Puritan who always writes well, is both practical and heavenly, and is never tedious, purchase Bates’s Works. Redeeming love deserves our highest admiration and most humble acknowledgments. The love of God discovered in our redemption, is the most powerful persuasive to repentance. The transcendent love that God hath expressed in our redemption by Christ, should kindle in us a reciprocal affection to him. What an high provocation is it to despise redeeming mercy, and to defeat that infinite goodness which hath been at such expense for our recovery?” (1:329-340). The Four Last Things (1691). Some consider this Bates' greatest work. It is a short, poignant treatment on death, judgment, heaven, and hell. In 2011 Danny Hyde did a 5-part mid-week teaching through Bates' treatise, The Divinity of the Christian Religion. You can download the audio and .pdf outlines here. Thanks to our friends at Crossway, we have one (1) copy of J.I. Packer's, A Quest for Godliness: The Puritan Vision of the Christian Life. The deadline for entering is three weeks from today, Friday, March 25. The winner will be announced Monday, March 28.